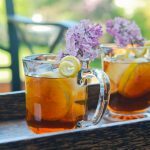 Paleo Lilac Iced Tea is such a fresh, beautifully fragrant beverage. 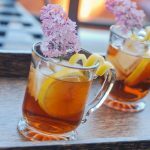 It's like Spring-time in a cup! 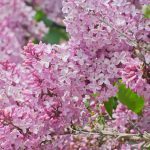 I love lilacs! The smell is amazing and I love the color of the purple ones. That smell really lets you know that Spring is here. 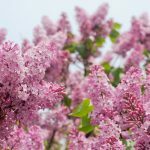 When I was going to university for pharmacy I would leave 5-10 minutes early each morning so that I could stop at neighbors' lilac bushes and breathe in that sweet fresh scent. 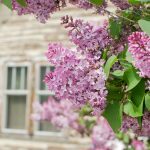 Someday, when I buy my dream home, there will be lilac bushes outside my bedroom window. 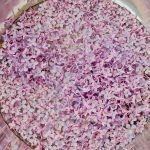 I thought, there has to be a way to incorporate these amazing flowers into some delicious Paleo dishes. Here's the thing: I ate one. It wasn't the most amazing taste. I little bitter. It's kind of unfair in a way, when something smells soooo good but the taste doesn't correspond with the scent; like vanilla extract. Remember the disappointment when you first tasted that on its own? So we're looking at using this delicately in a similar way to vanilla. 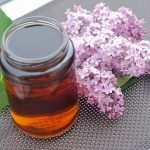 I looked into how rose water is made, applied it to the lilacs, and it resulted in an amber liquid that smells so great! 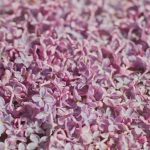 (And yes, the internet says lilacs are edible.) WARNING: separating the flowers from the plant is super time consuming, BUT so relaxing. Almost meditative. It made me think of people in India or Thailand preparing fragrant flowers for temples and religious ceremonies. I lay in the sun, soaking up the warmth and enjoying the peacefulness and loving the smell. Anyway, be diligent in keeping any of the greenery out of the pile of flowers, as they seem to increase the bitterness. 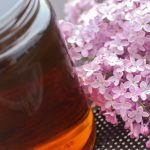 I had a decadent plan for this lilac flavored water (which you'll see in my flavored Paleo Whipped Creams, which are amazing), and was left with quite a bit of this aromatic fluid. 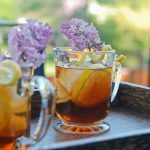 A sip of it screamed iced tea. And here we are. 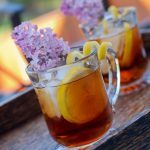 Beautifully fragrant tea to start off summer! 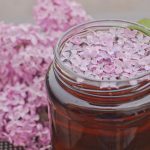 Put flowers in a glass jar. 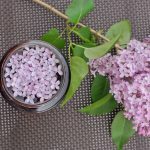 Add enough boiling water to cover lilacs (3-4 cups). 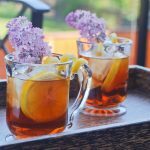 If resulting amber-colored tea, or lilac water, is too strong or bitter, water down as needed. 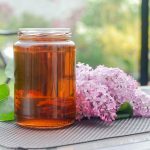 Add maple syrup (approximately 1/2 tsp per cup). Squeeze in juice from lemon (approximately 1/2 tsp per cup). Stir and serve chilled (refrigerate and/or use ice cubes). 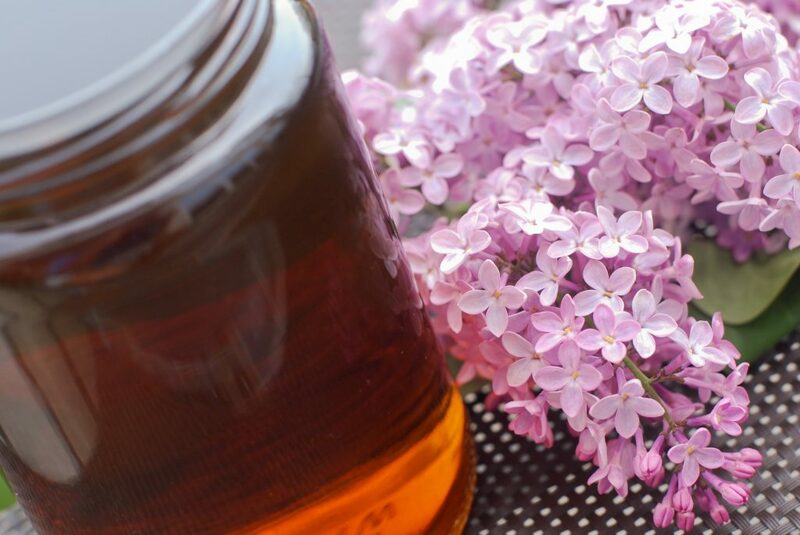 This lilac water can be used to add subtle flavor to other dishes (stay tuned…). 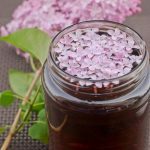 Just waiting for the lilacs to come out in bloom to try this. Love your photography. Really enjoyed our phone call yesterday, even though I had to answer a few bells along the way! Mmmm….this sounds deeelish! Must try! I’m excited to try this! Using everything I grow to eat or drink is my thing. I might try Stevia and a little Lemon Balm and see how it tastes. Thanks for the recipe!